Most of the smart phones are now using Lithium mobile phone battery. 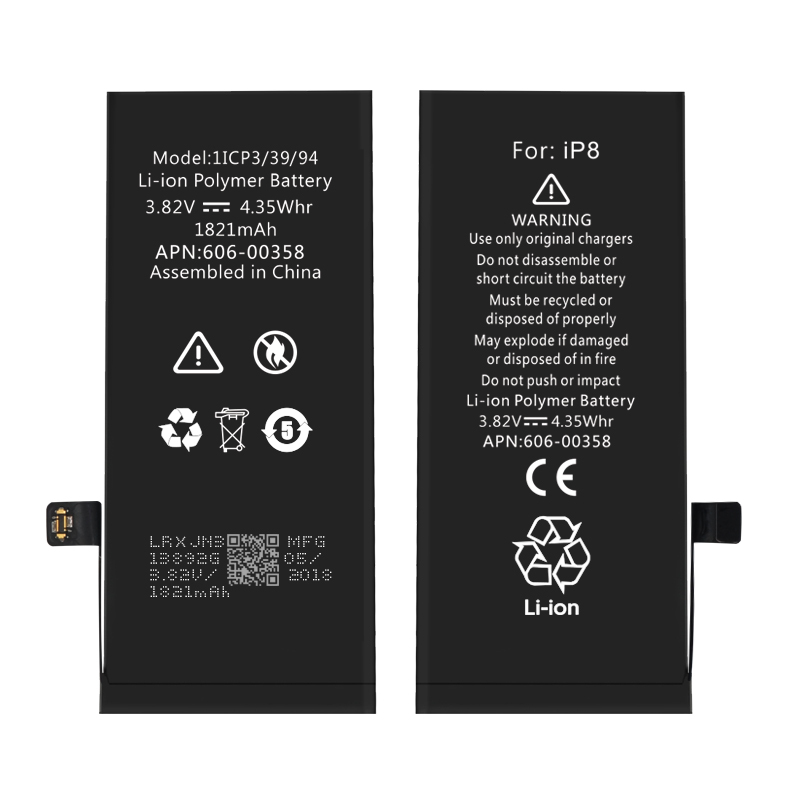 We generally think that the number of charge and discharge cycles of Lithium mobile phone battery batteries is about 300-500 times. So, what happens when the phone exceeds this cycle? Will it not be used or what? In fact, this 300-500 cycle count is a complete charge and discharge cycle, which refers to the battery from 0% to 100%, and then fully discharged to 100% with 0%. In fact, this cycle is still quite long. But now this cycle is indeed completed quickly. First of all, most mobile phones on the market currently support fast charging protocols, and 0% to 100% can be realized in just over an hour. Secondly, smart machines now use electricity too fast, and most of the phones use (bright screen) for six or seven hours without power. In this case, the 300-500 cycle will soon come back, then, after that? Under the national standard, the Lithium mobile phone battery capacity is above 80% after charging and discharging the battery for 500 times. This is a national standard, that is to say, in accordance with this standard, there will still be 80% of electricity after 500 charge and discharge cycles. But how many people are enough for 500 times? Heavy use of the user, basically a year or so will reach the end of this cycle, after the Lithium mobile phone battery will decay faster, then it is time to change the phone..
Not only the Lithium mobile phone battery is not working, the configuration should be updated, the small house now thinks that Apple's mobile phone basically uses a year, the Lithium mobile phone battery power drops sharply, it seems that Apple can really understand the majority of users using the "machine" way.